Great Falls | Montana’s Basecamp for Art & Adventure, is the home of one of Montana’s most famous pioneers. William Wesley Van Orsdel, or more fondly called Brother Van, came to Montana via steamboat in 1872. He told the captain he was going to Montana “to sing, to preach, and to encourage people to be good.” He loved everyone he met, including settlers, American Indians, freighters, cowboys, soldiers, gamblers, and miners. In return, everyone that met Brother Van loved him, earning him the title “Best Loved Man in Montana.” There were so few preachers to cover the vast state that he became a circuit rider that he continued to do under various job titles for the next 45 years. He knew that the best way to reach people was to go into their homes and communities. Since then, these facilities have grown to respond to the welfare of the ever-changing lives of those living in the state. Brother Van’s legacy lives on with Benefis Healthcare, Rocky Mountain College, Bozeman Deaconess Hospital, Billings Clinic, Northern Montana Hospital, Intermountain Children’s Home in Helena, and the churches that serve communities across Montana. He is remembered as having dedicated the Montana Capitol and several courthouses throughout the state, including the Cascade County Courthouse in 1903, and served on statewide committees that benefited mostly children. He was so popular that he didn’t need an appointment to see any of the governors; he could walk right into their offices. 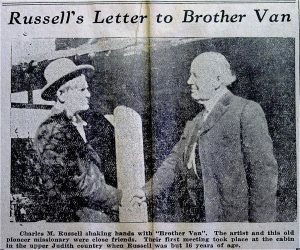 In the 1880s, Brother Van met a young CM Russell while Russell was working as a rancher in Judith Gap. Brother Van’s reach throughout the state was almost unmatched, and everyone knew his name and breadth of work. After the young lady he was engaged to marry died of tuberculosis, Brother Van never married. He often had a room in a boarding house somewhere on his circuit. 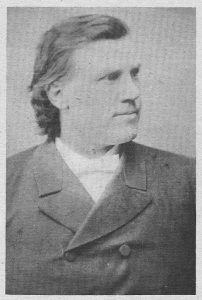 In 1892, he was sent to Great Falls to be in charge of the Methodist Churches in North and Central Montana. When a new parsonage was built in Great Falls at his direction in 1910, the first resident pastor invited Brother Van to live with the family, and this would become the only home he really knew in all of the years that he had lived in Montana. 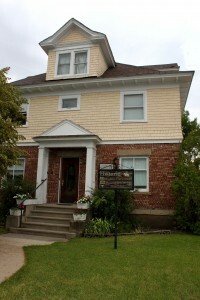 Today, that home is the Brother Van House Museum. Stories told by docents of his adventures will raise the hair on your neck and bring a tear to your eye. As they guide you through this century-old house, you will learn about the settlement of Montana and the part that the “Best Loved Man in Montana” played in making this the wonderful state that it is. Admission to the Brother Van House Museum is free, and the home is another asset to Montana’s museum capital. Call 406-453-3114 to make an appointment to see the home. We invite you to learn about Brother Van’s legacy and the city he called home. Thank you to Suzanne Waring for contributing to the content of this article.